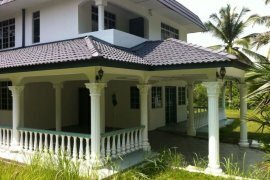 2 Storey Corner Bungalow In Taman Bukit Cheras, Cheras. Double Storey SEmi D at SS4 Kelana Jaya. 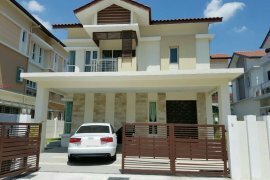 New 6 Bedroom Double Storey Bungalow in Presint 10 Putrajaya. Double Storey Semi D at Section 17 Petaling Jaya. Double Storey bungalow At SS3, Kelana Jaya PJ. Corner Double Storey Bungalow At SS1 Petaling Jaya. Ferringhi Villa @ Batu Ferringhi. 4 Storey Bungalow with Lift Shaft in Bukit Wangsamas. Banglo Bawah Harga Pasaran di Taman TAR, Ampang. Very Well Kept and Moving In Condition Setia Hills Bungalow. 4 Storey Villa- Breaking the Border Between Nature & You. Sentosa 3S Banglow 8 Bedrooms Fully Renovated. 11 400 sq. ft Double Storey Bungalow. DOUBLE STOREY SEMI-D (INTERNATIONAL LOT) - EAST LEDANG NUSAJ. DOUBLE STOREY CORNER SEMI-D (INTERNATIONAL LOT) - EAST LEDAN. Hilltop Villa at Batu Ferringhi. Double storey Bungalow @ Section 14 Petaling Jaya. Single Storey Bungalow @ Federal Hill KL. Single Storey Bungalow At SS1 , PJ.